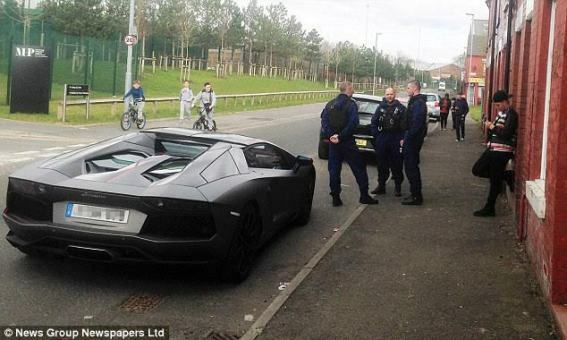 Manchester City footballer Samir Nasri’s $330k Lamborghini Aventador which he showed off last weekend has been seized by Greater Manchester Police for having illegal registration documents. The 28-year-old Manchester City midfielder was seen leaning against the wall after being pulled over by police. His $330,000 supercar was not registered in Britain. Nasri was pictured on Wilson Street in the Beswick area of the city, not far from from his club’s multi-million pound training complex, before being picked up by a club chauffeur.